If you are anything like me, by the time it is dinner time I do not want to cook. I just want the food done. Kids are screaming, its getting later, and as the pressure builds the chances of me making something healthy drop to almost 0. So that is why our family is a crockpot family. Food goes in (typically with little to no prep) and magically at dinner time there is a hot juicy meal ready to go with no mess. The crockpot is probably responsible for saving my marriage, my abs, and possibly keeping my children alive. 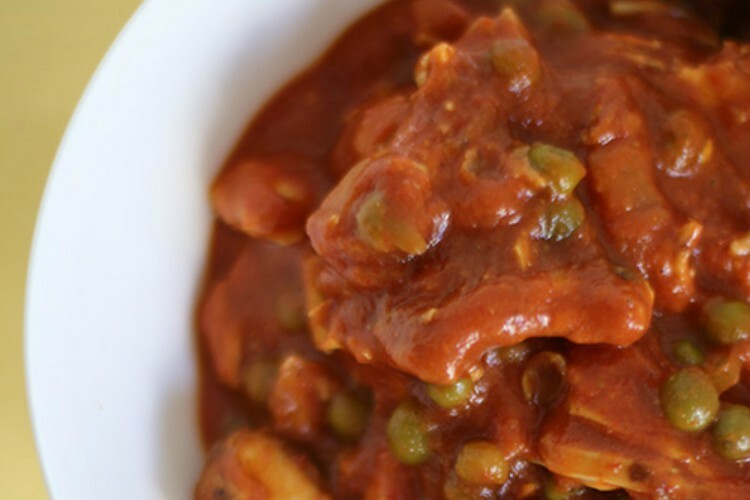 So here are 29 easy, healthy crock pot recipes. All the recipes could be made healthier or tastier by subbing certain ingredients according to your preferences and dietary goals. 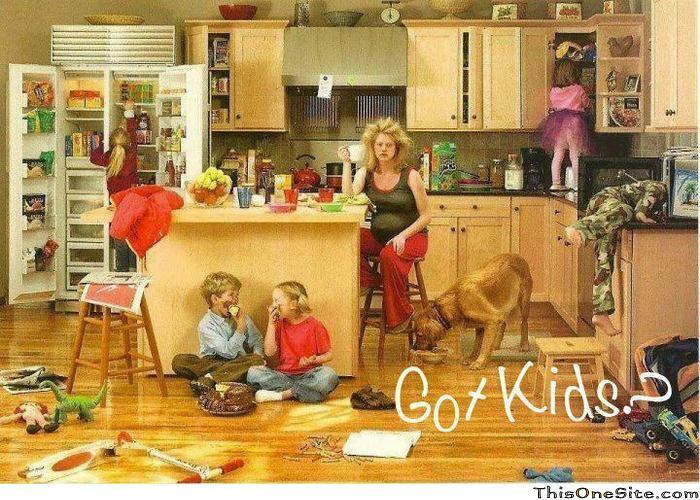 Hope this helps you to lose some fat, build some muscle, and be a better mom/dad/spouse/parent! 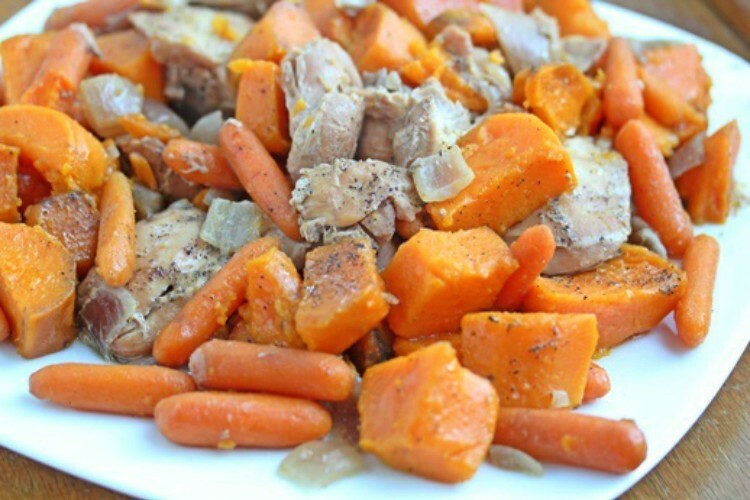 This sweet-and-savory recipe includes sweet potatoes for an extra dose of nutrients. PLUS, it’s gluten-free, and even Paleo! For this recipe from The Chaos and the Clutter, all you need are chicken, garlic, olive oil, parsley, lemon juice and pepper. Simple and delicious! This recipe from Good Life Eats doesn’t sound like it should be healthy, but don’t fear! 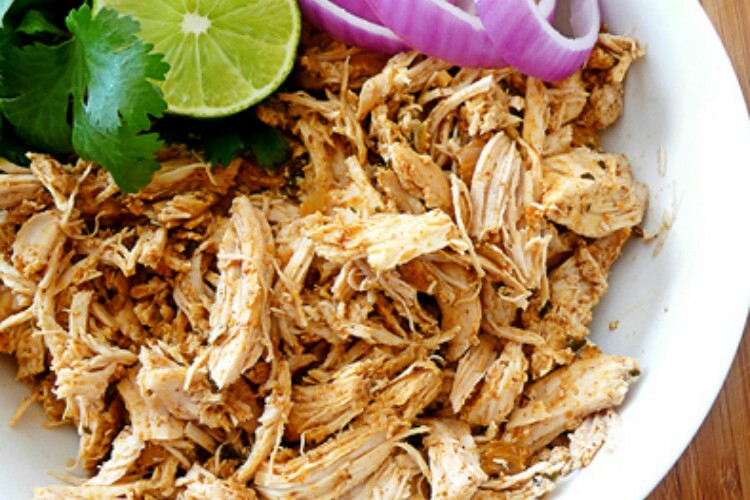 All the flavor in these shredded boneless and skinless breasts comes from smart spice use, not fat. 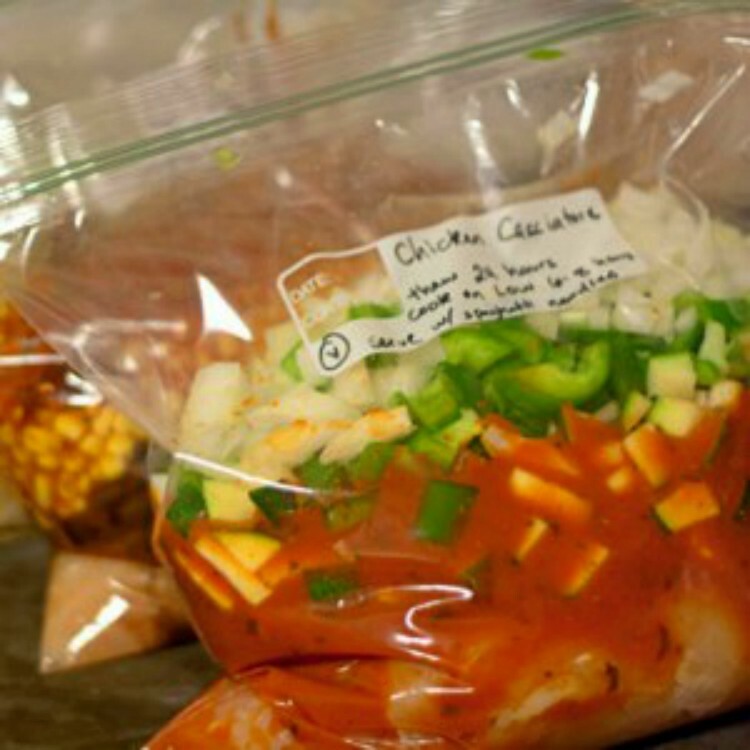 You can prep it, freeze it, and use it for everything from sandwiches to soup to enchiladas. 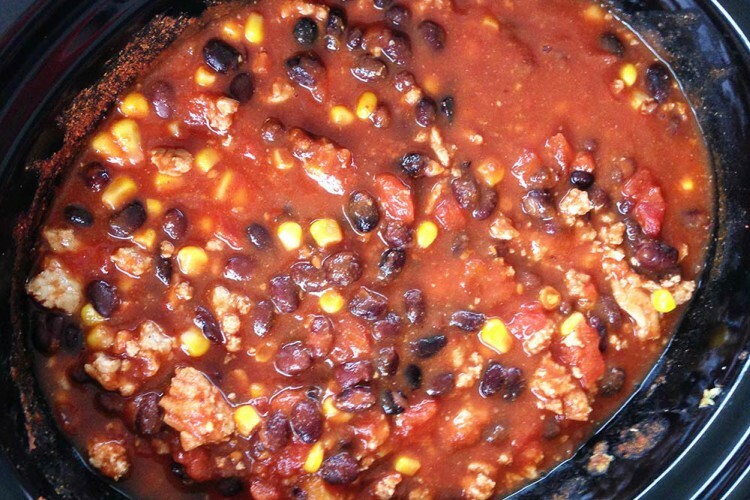 Chili doesn’t have to be fattening, either! Pair the whole ingredients in this recipe with some skim-or-low-fat cheese – or skip it entirely! – and adapt the spices for your family’s tastes. Throw away your menus! 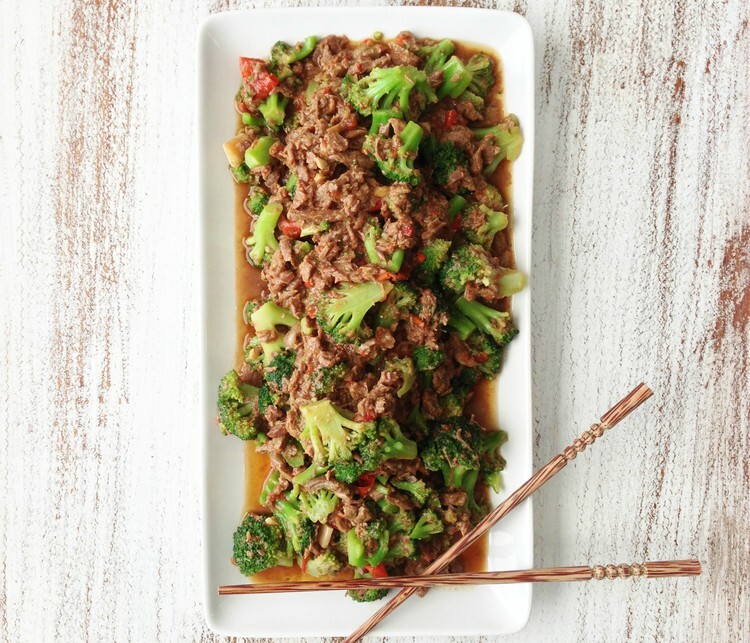 This “healthified” version of the Chinese-take-out standby has had a huge reduction in sugar and sodium to turn into a dish that has only 290 calories per serving. Need some vegetarian options? 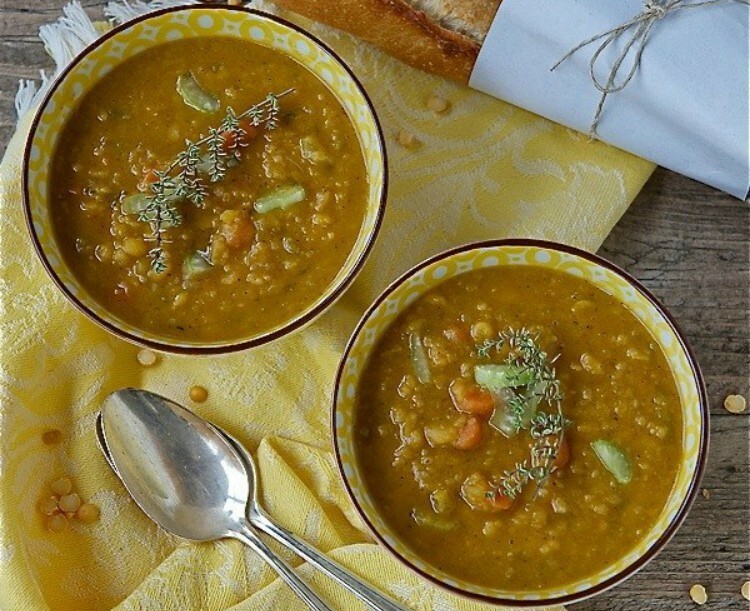 Try this simple and delicious dish that’s almost like a soup . . .
orthe extra calories! Also try using spaghetti squash or zoodles as a substitute. You know you can make stuffed peppers in the crock pot, but did you know you can freeze them ahead of time? It’s true! These ones are stuffed with ground turkey and topped with your favorite tomato sauce. This one sounds like it should be labor-intensive, expensive, and fancy. Instead, it only takes four ingredients, almost zero prep, cooks in a crock pot and freezes! Cheesesteak? Healthy? In the crock pot? It’s totally possible! This recipe swaps in chicken instead of fattier meats, and fills in the rest with whole ingredients. The Sunday dinner classic transforms into an easy meal for busy weeknights. What stays the same? The satisfying, good-for-you taste! 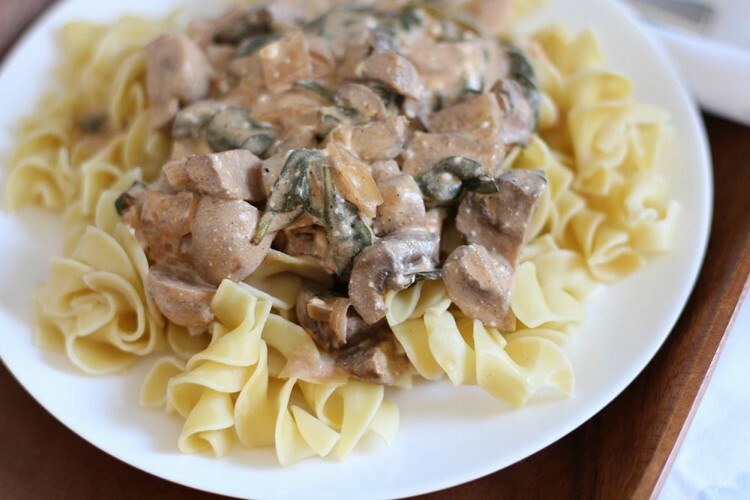 While it’s always great to see how you can make classic recipes using the convenience of the freezer and the crock pot, don’t miss out on the opportunity to try something new! This stew combines mushrooms, carrots, celery, onion, tomatoes and barley for an easy vegetarian dish. 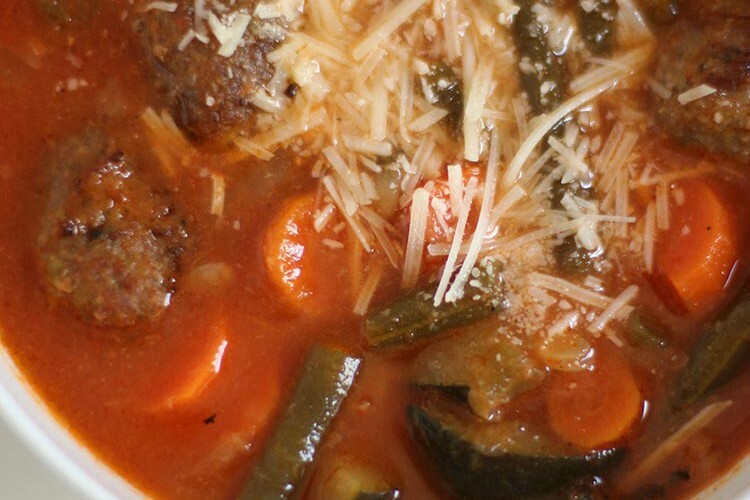 Italian wedding soup meets garden vegetable soup for a one-of-a-kind creation the whole family will love. Crock pot curry? Let’s do it— AND make it vegetarian! Turkey is obviously a fantastic meat choice for anybody looking to eat healthily, so incorporate it into your freezer crock pot recipes with this soup . . .
. . . or this one . . .
. . . or this chili, full of savory and spicy goodness! 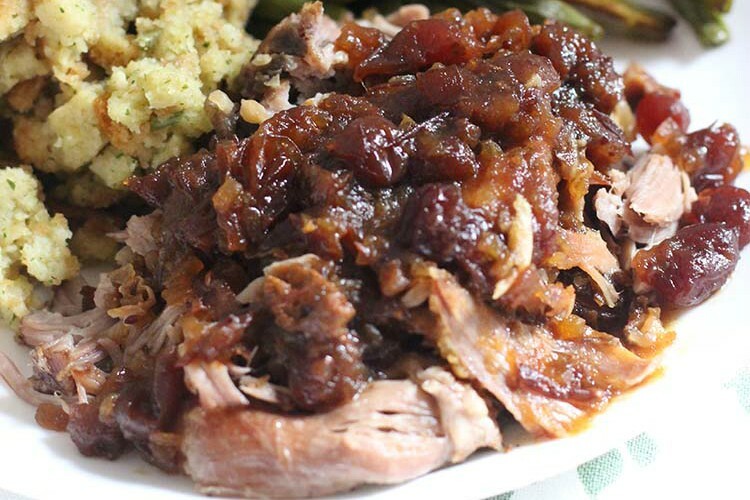 Who would have thought you could make meatloaf in a slow cooker AND have it be healthy? This one has a very general list of ingredients you can adapt for any dietary needs. 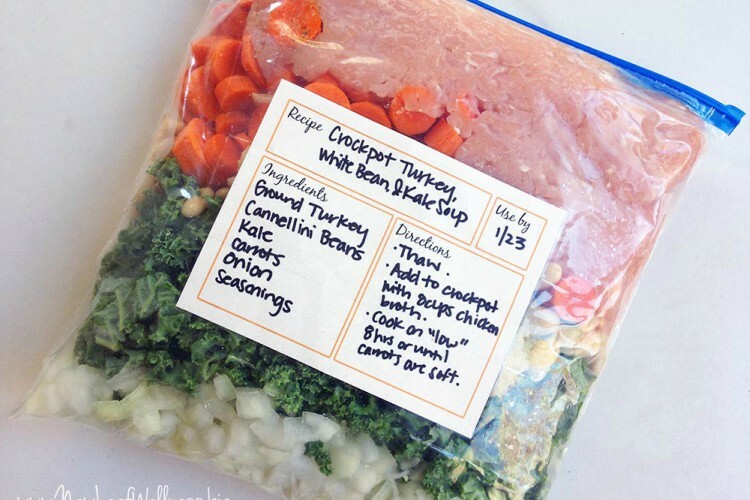 It also has us thinking that any meatloaf recipe you love will work with this freezer prep and crock pot cook method! This recipe is so simple, using only five ingredients for super-easy prep. 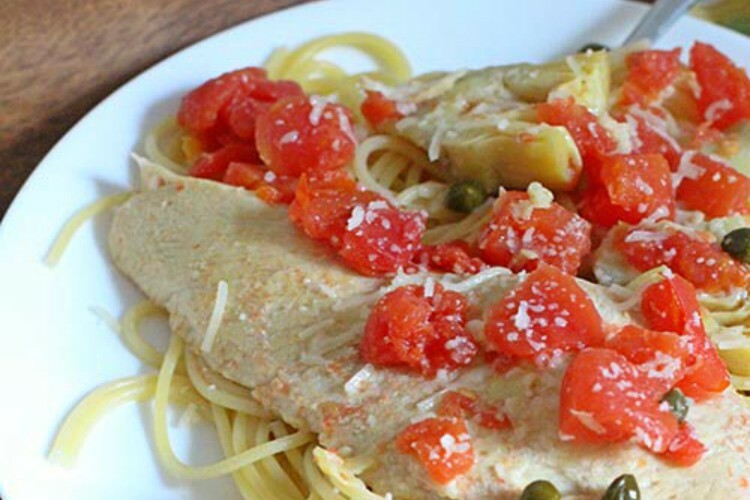 You can serve it over spaghetti if you want, or keep it gluten-free and eat it straight. We’re looking forward to spring and peach season already with this creative recipe that also uses red onion, brown sugar, Tamari and coriander for a taste palette like nothing else. 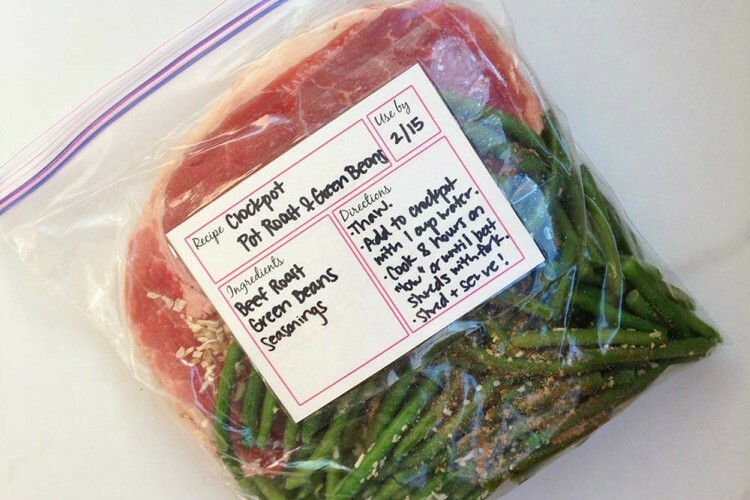 You know when you’ll really want these freezer meals on hand? When you’re sick. 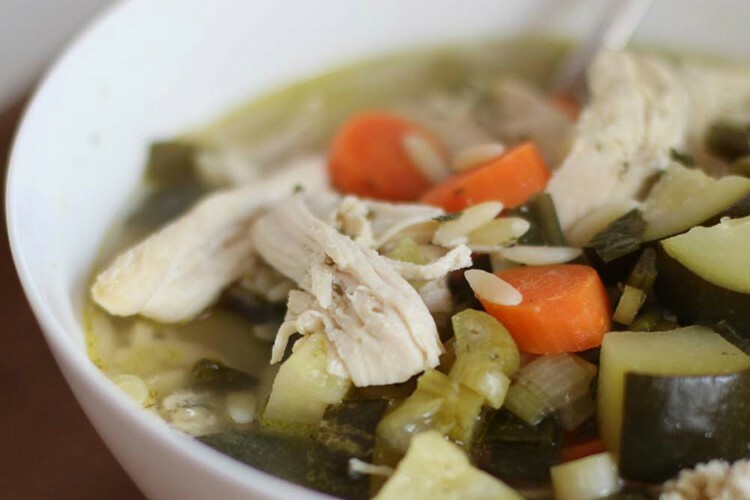 And we all know what we need when we’re sick: chicken soup! Try this more classic, vegetable-heavy version . . .
. . . or this one incorporating traditional Mexican seasonings. This recipe will be your go-to when you want to make something special and “fancy,” but have neither the time nor the energy. We know this list is full of chicken, but can you blame us when there are recipes like this one? It’s a great way to keep things healthy but also tasty— and full of protein! Just ONE more chicken recipe, we promise! This one’s a little more adventurous. No chicken here— and no meat of any other kind, either! Instead, this stew is totally VEGAN. This soup? It’s vegan too! Not vegan but still vegetarian? Try this recipe, which tastes super-indulgent. Missing the meat? 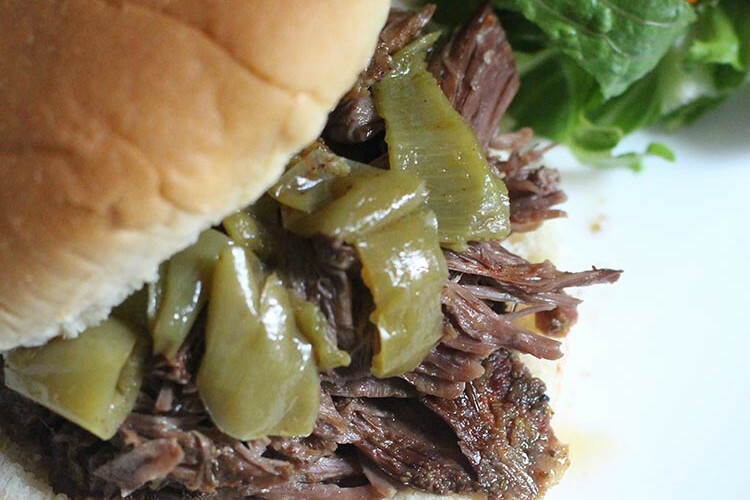 Let’s close out with this recipe that makes every day taste like a barbecue, WITHOUT sweating it out over the grill. © 2017 TFW Estrella. All Rights Reserved.